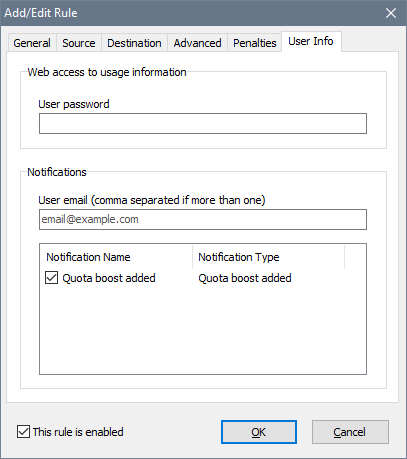 The Quota Boost feature is useful when your users have an opportunity to get additional usage quota temporarily, for the current period. 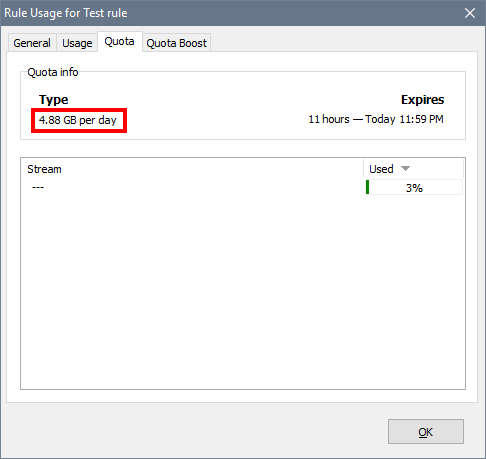 Once the period has lapsed, the quota automatically returns back to normal. 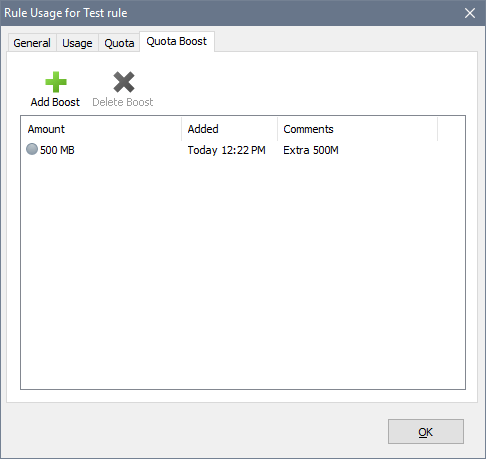 The boosts are reflected both in the Quota tab of usage reports and in the web-reports. 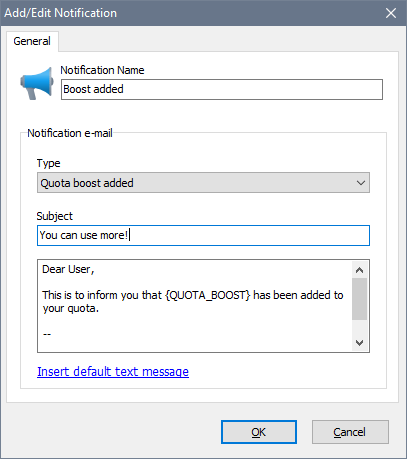 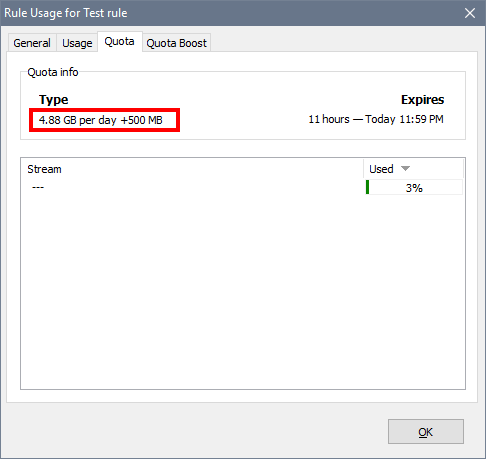 Quota after the boost, displaying normal + extra quota.